What is the weather like for holidays in the Caribbean? The Caribbean’s tropical climate brings warmth and sunshine all year round, supporting Caribbean holidays as the destination of choice for many holidaymakers. Added to this, the Caribbean Sea has an average temperature of 27 degrees. During the summer months, from May to October, the temperature heats up and the islands see the most significant rainfall, which is heavier on north-east facing coasts and mountains. This is when the Atlantic hurricane season affects the Caribbean, bringing slightly increased rainfall and stronger winds, however, major storms are very rare. In the event of a hurricane we have a hurricane policy in place. Winter is a popular time to visit the Caribbean, between the months of November and April, as the average temperature is still hitting 26 degrees and rainfall is very minimal. For higher temperatures and less crowds, the summer is the best time to visit as it’s outside of the peak travel times, so you can enjoy a quieter holiday. Winter months are busier in the Caribbean and best if you prefer to avoid rainfall and winds, but still want to enjoy tropical temperatures. What should I pack for luxury Caribbean Island holidays? Packing for a Caribbean Island holiday is similar to packing for any other tropical holiday, from sun protection, swimwear and clothing, you will need all of the usual essentials. Firstly, you need to ensure you have all of the correct travel documents, such as a valid passport, tickets and/or boarding passes. What should I wear on Caribbean holidays? What activities are there to do in the Caribbean Islands? Depending on the resort you are staying at, there are a whole host of activities to take part in in the Caribbean. Elite Island Resorts have it all covered from exciting water sports to relaxing spa treatments. A range of bars and restaurants are available on all-inclusive holidays, with many resorts offering cocktail classes, so you can recreate your favourite Caribbean drinks at home. Complimentary water sports include windsurfing, kayaking, snorkelling, stand up paddle boarding, pedal boats and hobie cat sailing. Your resort will also be happy to arrange scuba diving, boating or fishing excursions. All of our exclusive Caribbean Island spas and resorts also include activities and sports on land such as tennis, nature walks, mini-golf, cricket, bicycle rentals and more. We will also happily arrange excursions off our resort such as zip lining, jeep safaris and city tours. If you’re not up for a sporty day, we have some of the best spas located at our resorts, providing body treatments and skin services, so you can truly indulge and relax on your Caribbean break. Is the Caribbean suitable for family holidays? Yes, the Caribbean is perfect for the family with many activities available to make incredible memories. Elite Island Holidays UK offer a kids club to give parents a peaceful break and tailor the holiday to them, providing the opportunity for guided nature walks, swimming and snorkelling excursions, limbo dancing, lively beach games and even ping pong tournaments. We also offer babysitting for babies and toddlers at select resorts. How do I choose the best Caribbean Island resort for me? Finding a perfect resort for your Caribbean getaway is important to give you an experience and memories to last a lifetime. 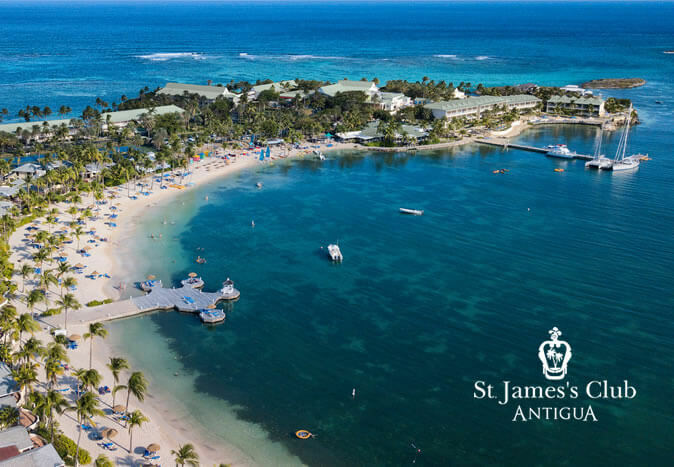 Elite Island Resorts offer a variety of experiences from luxury adult-only holidays in Barbados to a wide variety of exclusive beach resorts in Antigua. Take a look at our VIP spas and resorts to compare Caribbean destinations to find out what is right for you! What are the best places to visit in the Caribbean? 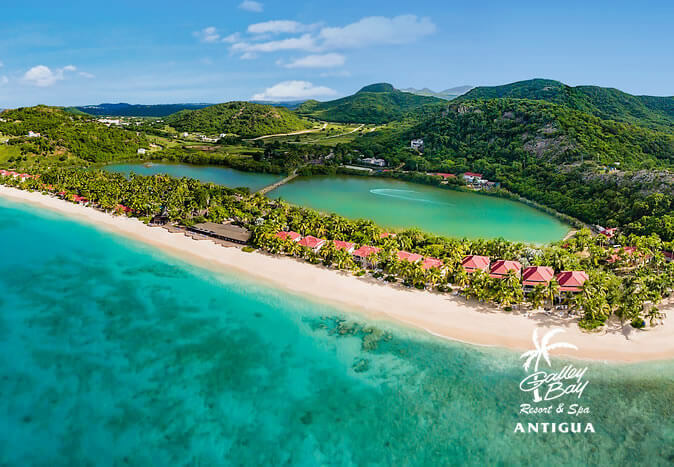 Antigua – With four resorts to choose from, step directly out of your resort onto a picture-perfect Caribbean beach with white sands and a gentle sea breeze. 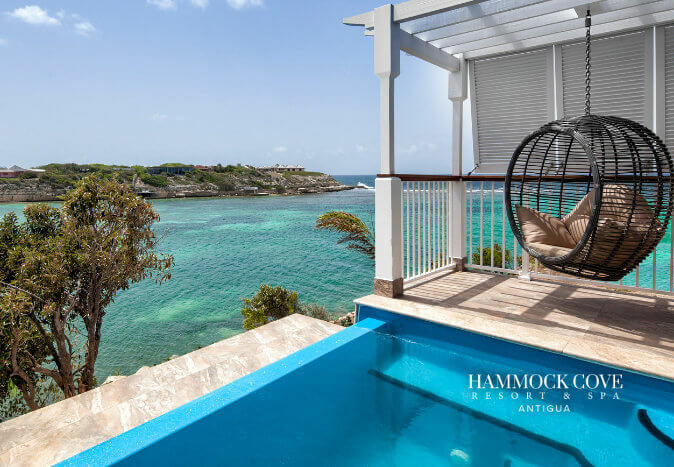 From an eco-friendly resort to complete luxury and exclusivity, all four resorts will offer a relaxing Caribbean holiday like no other. 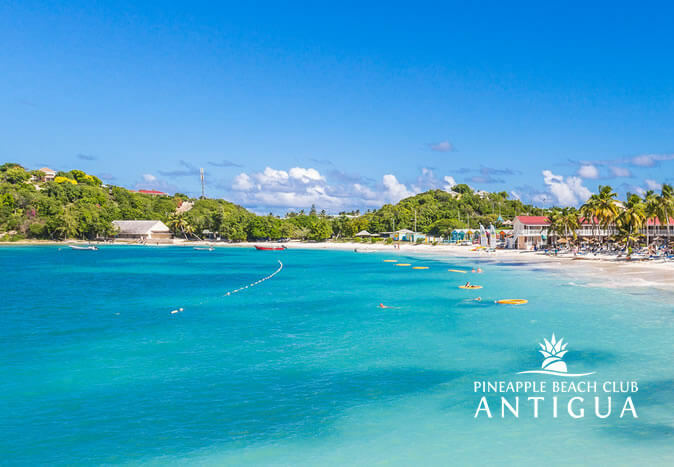 Find out more about Antigua. Barbados – Want to keep out the way of the kids? 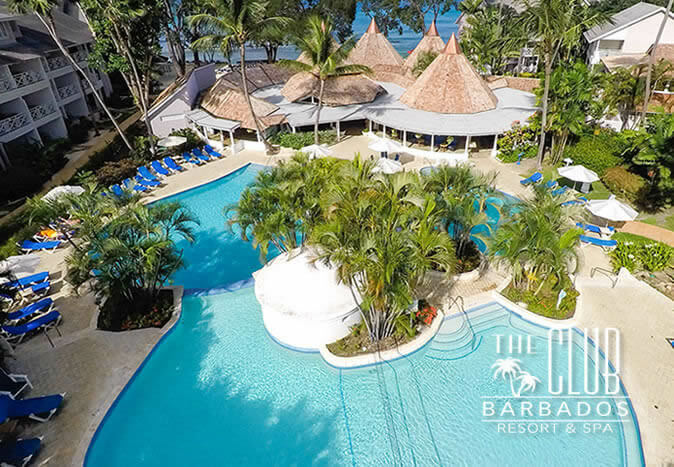 The Club Barbados Resort & Spa is exclusively for adults and includes all-inclusive VIP service with a range of activities and restaurants available. Find out more about Barbados. 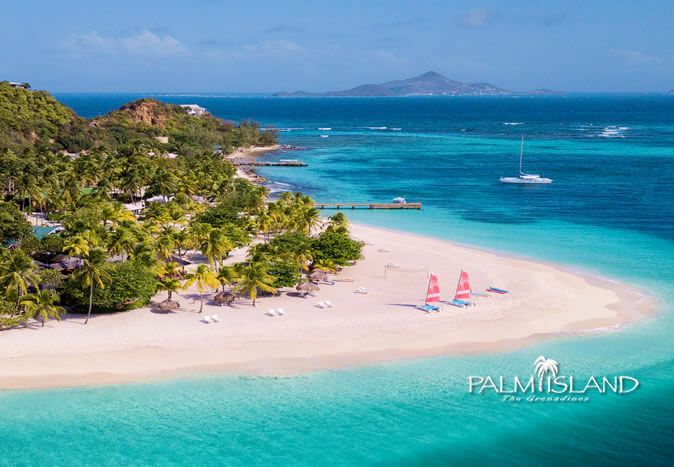 The Grenadines – If you want to feel isolated in tranquillity and luxury, Palm Island Resort is perfect as it is situated on a private island. With VIP service, this holiday will leave you feeling completely relaxed and distant from the busy world. Find out more about The Grenadine. 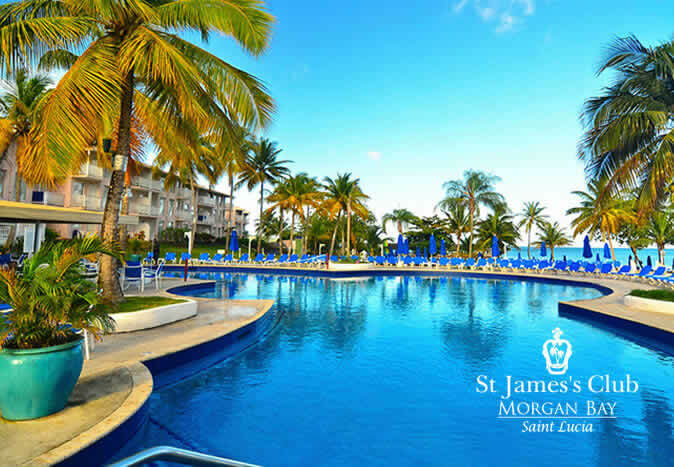 St Lucia – With a vast selection of waterfront activities, as well as Cap Estate Golf Course and the city of Castries, there are new experiences and activities waiting for you in St Lucia. Find out more about St Lucia. Can I get married at Elite Caribbean resorts? A Caribbean island is the perfect location for a wedding, which is why we have designated wedding coordinators to create the perfect package tailored to you. The hardest decision will be which resort you choose. With the help of our wedding department and on-site coordinators, we can make your dreams come true from the ceremony through to the celebration. Our standard wedding package always includes clergy/magistrate, taxes and gratuities, wedding arch at a gazebo of local tropical flowers, bottle of champagne, single tier cake, bouquet of local flowers, buttonhole for groom and a wedding coordinator. We can also arrange optional extras such as photography, videos, beauty treatments and more. Find out more about our Caribbean wedding packages. Do you provide honeymoon packages? All of our resorts will make the perfect honeymoon destination, with many offering romantic packages to enjoy with your other half. Some of the honeymoon packages available offer couples massages, spa treatments, breakfast in bed and private dining options. We want to make sure that your honeymoon in the Caribbean is perfect in every way! To find out more about each resort and how they can make your honeymoon a dream come true, click here. Do you offer anniversary packages? Yes, our resorts will help you show the love of your life that they’re still the one! 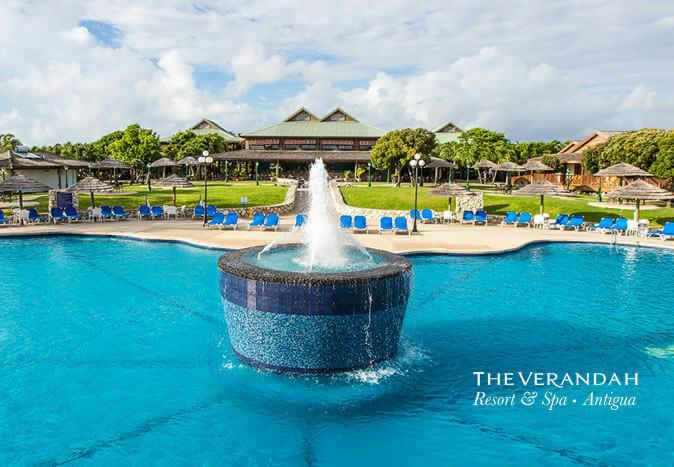 Our resorts are the perfect location to celebrate a special anniversary with your partner, and even offer options to renew those all-important vows. To find out more about each individual resort and how they can make your anniversary extra special, click here. Are all of your Caribbean destinations beach locations? Yes, all of our resorts are beachfront resorts. We also have selected rooms at each resort with sea and beachfront views, so you can enjoy fabulous sea views throughout your stay. Do you have any special offers for Caribbean holidays? Yes, we have a range of fantastic offers and deals to help you save on your next trip to the Caribbean. Our offers and deals are regularly changing so make sure you check out our special offers page to see what’s available right now. Can I discuss your resorts further with you? Yes, we’re always happy to provide any information or advice about your Caribbean holiday. If you have any questions or queries, or you’d like to chat to a member of our expert team, contact us here. We’re ready and waiting to help you find your perfect Caribbean holiday.